Coming to Rome in February? Yes, it's cold, but there is a lot that's great about visiting Rome this time of year! The best part is no crowds. But there's more . . .
Saint Peter's Square in February, it's cold but it's beautiful! What to pack for Rome in February? What to wear in February in Rome? Is February a good time to visit Rome? 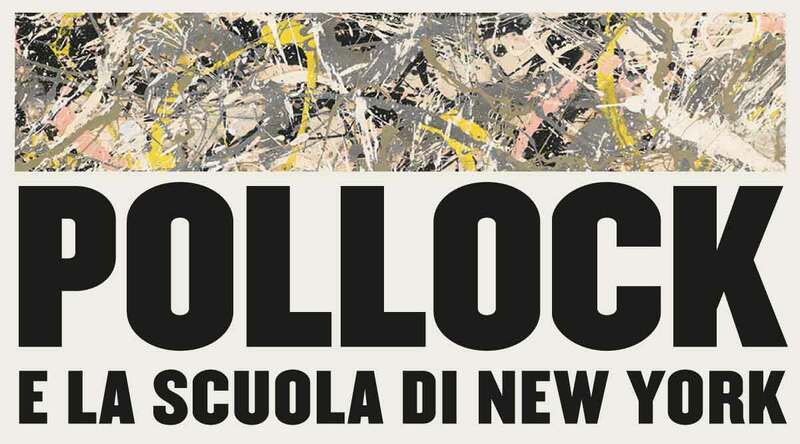 What's happening in February in Rome? What food is in season in February in Rome? 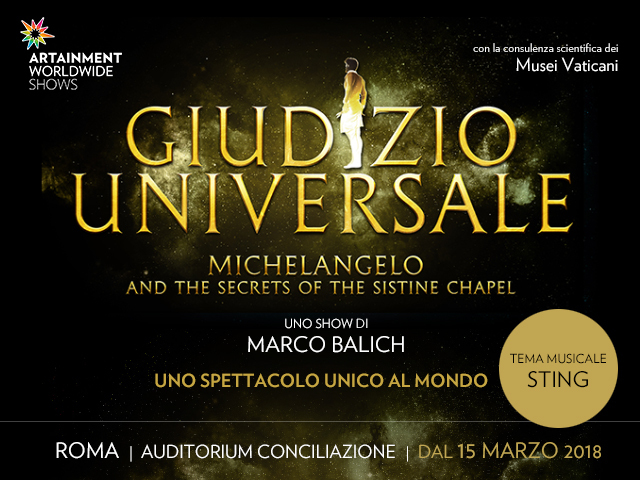 What are some things to do in February in Rome? For some reason people seem to think it snows in Rome in February. Could it be because of the unusual snowstorm we had in February 2012? That was a doozie! It lay down several feet of snow, and paralyzed the city for days. Even the Colosseum was closed for about a week. But really, it only snows in Rome about every 20-30 years, so don't worry too much about this. It will be cold, and it will likely rain some days while you are here. But there are sometimes some gorgeous bright sunny days too! For more ideas, visit my page about What to Pack for Rome, with downloadable packing list. The key is to be comfortable. I cannot stress highly enough how important it is to wear comfortable shoes. So make sure you bring good, comfortable socks, too. I suggest sturdy hiking shoes or similar. And if they are waterproof or water-resistant, even better. The other key is layering. When it gets sunny during the middle of the day, you may want to shed a layer or two. Jeans, or heavy cotton or wool trousers, are perfect for everyone. It's really chilly in the early morning and at night (can be freezing), so wear a sweater, jacket, hat, scarves and gloves. During the day, when sight-seeing, you might want to use a large bag or backpack you can pop your scarf/gloves/hat into if it's sunny out. I'd suggest carrying a small umbrella in case of rain (or snow), but even if you don't, you can always buy one on the street if you need to. Did I mention to wear comfortable shoes? And socks? It merits repeating! Is it crowded in February in Rome? February is low season in Rome, and you can expect to have a lot of the top sites to yourself. The turtle fountain in the Jewish Ghetto is usually surrounded by people wanting to take pictures of it. In winter, you can have it (almost) all to yourself. This is without a doubt the best reason to visit Rome in February! But there is also a lot going on during this month, so either join in the fun, or be aware of it in case you want to avoid the crowds. February 11, 2019 - This is a national holiday INSIDE Vatican City, as it's the Anniversary of the foundation of Vatican City. The Vatican Museums are closed this day. March 1, 2019 - Carnival, ok technically this is in March this year, but everyone loves Carnival, so expect to see kids dressed up and confetti thrown about even before March 1. Carnival, which is during the week before Lent, mostly seems to be about children dressing up and throwing confetti in the streets. In Rome, I mean! In Venice it is a whole other thing, and if you really want to experience Carnival at its fullest, then I suggest you combine a visit to Venice with your Rome visit. I did not even know about Six Nations rugby before I moved to Rome, let alone that Italy has a team! But it's kind of a big deal, and when the games are here, the weekend becomes pretty busy in Rome. And while Valentine's Day is not technically a holiday, it does tend to bring people to Rome for a romantic getaway. And if it's on a weekend, and particularly if coinciding with a Six Nations match, it may be busier than usual that weekend in Rome. On Sunday, February 2, 2019, there will be a Papal Mass for the "Feast of the Presentation of the Lord - Holy Mass". Mass is at 17:30 inside St. Peter's Basilica. 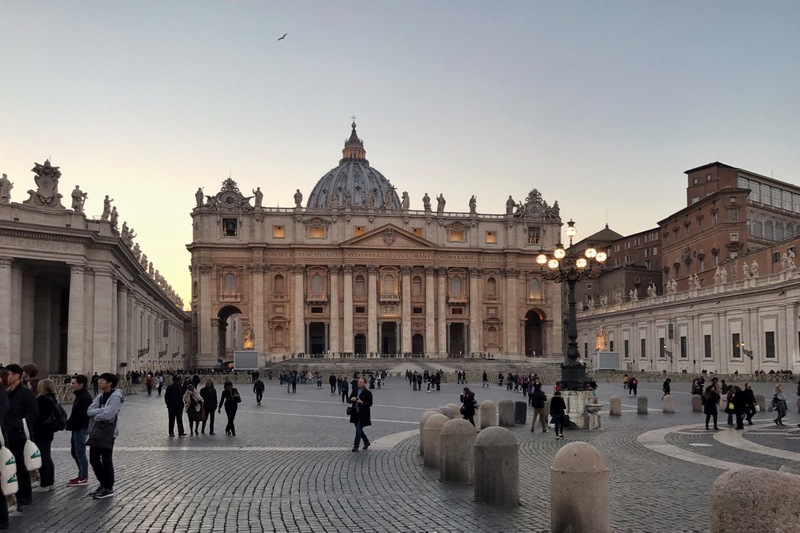 For the rest of February when the Pope is in town, you can attend the Wednesday Papal Audience, or watch the pope give the Angelus in St. Peter's Square on Sunday. For the Papal Audience, you need tickets. For the Angelus, you don't. As noted above, February 11, 2019 is a national holiday in Vatican City, so the Vatican Museums are closed this day. This does not affect the opening hours of St. Peter's Basilica, or Vatican Square, which are both open and free. Depending on when Easter falls, February can have a few Vatican-related events, such as Ash Wednesday. In 2019, there are no Easter-related Vatican events. If you read my site, you know that I love eating foods in season in Italy, which is how most Italians eat them as well! Eating artichokes in season is one of my favorite things about Rome in February. This one, alla giudia (fried) is perfectly made every time at Flavio al Velavevodetto. Rome in February also means it's time for Carnevale treats: castagnole and frappe. They are fried and they are sugary, which goes oh so well with the cold brisk February air in Rome! Both castagnole and frappe are fried dough with sugar, but in different ways. Castagnole are puffy and soft, coated with granulated sugar. Frappe are crunchy, topped with powdered sugar. You will find these in almost any pasticceria (pastry shop) in Rome in February. Castagnole are not to be confused with Zeppole, or Bigné di San Giuseppe, which are for Father's Day in March, and which look like Castagnole sort of, but are larger, and filled with custard, jam or cream. If you want a real in-depth view of foods in season in Rome in February, head over to my friends' website at Casa Mia. If you are really into food (aren't we all? ), why not take a food tour in Rome? You will learn a lot and get to eat yummy stuff along the way! Some of my favorite seasonal things to eat in Rome in winter include broccoletti (like broccoli rabe), puntarelle (chicory salad you will find only in Rome), artichokes, clementines, and Sicilian blood oranges. You can count on two dates for major sites to be open in Rome for free. Just remember, crowds will be considerably bigger on these dates! On the first Sunday of February, state sites and museums are free for everyone. This includes archeological sites like the Colosseum, Forum, Palatine Hill, Baths of Caracalla and Ostia Antica; and museums like the Galleria Borghese and Palazzo Barberini. On Sunday, February 3, 2019, you can visit these sites for free. 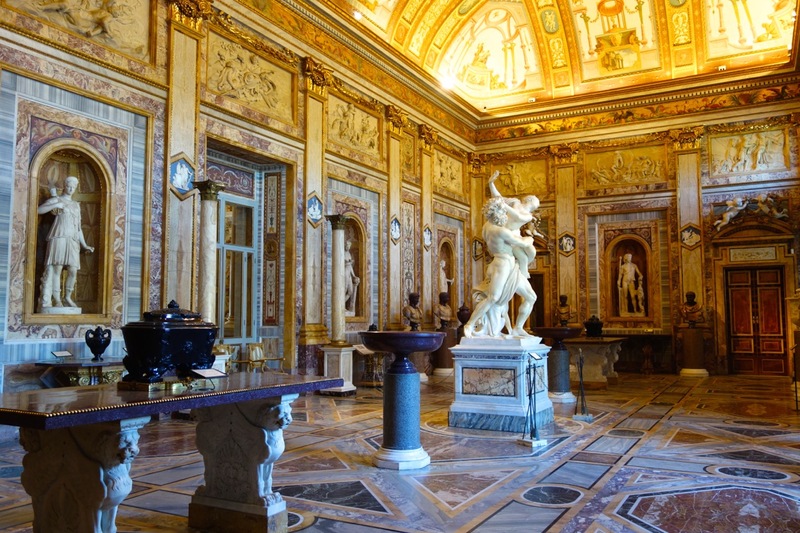 Even though February is low season, you should still book in advance for Galleria Borghese. If you are on a tight schedule and this is the only day you can go, or if you are on a tight budget, then this is a great opportunity. But otherwise it is usually better to book your visit ahead of time and pay to go another day. In 2019, the Vatican Museums will be free and open on Sunday February 24. Expect large crowds on this day, even in February. 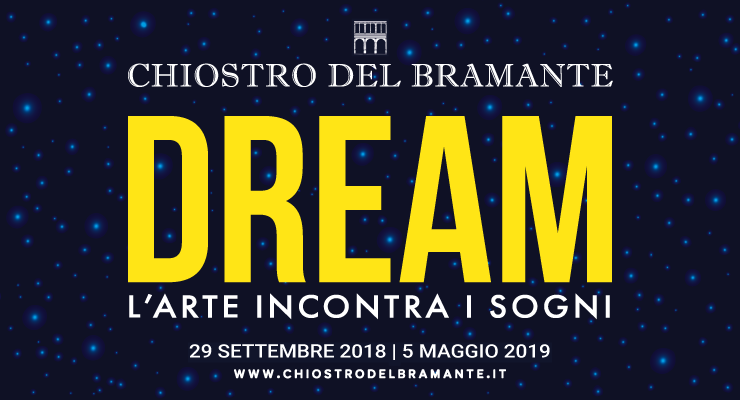 In February 2019, catch the opera in Rome, including Bizet's Carmen and Donizetti's Anna Bolena. 13€ includes audioguide. You can purchase tickets in advance or buy them on site. Click the picture to visit the museum's official page. 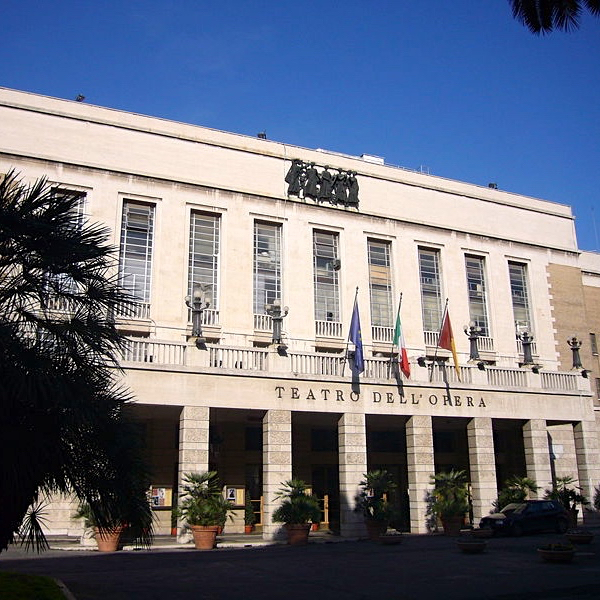 In 2019, the Rome Opera House will show Verdi's I Masnadieri through February 4, Verdi's La Traviata February 24 - March 4, Bellini's Sonnambula February 18 - March 3, and others. Click here for tickets and further details. These wonderful opera singers put on a mini-production of "La Traviata", in full costume. Gregory's Jazz Night with dinner option - enjoy jazz in a gorgeous theater in the center of Rome. General admission 25€, additional options for dinner from 55€. There are so many great options for taking cooking classes in Rome! From pizza-making to learning to make fresh pasta, to going shopping with the chef and making a home-cooked meal at his/her house! You can go out onto the Appia Antica, a lovely area to tour by bike. You can also try one of Rome's newest tours, by electric bike! What a great way to see the sites, get some exercise but not get too over-exerted! It's always a good idea to visit one of Rome's wonderful museums. And in winter, what a great way to stay warm! Of course there are the Vatican Museums, where you will see the Sistine Chapel. February is a great time to visit the Galleria Borghese, with its amazing Bernini sculptures and Caravaggio paintings. One of my favorite museums in Rome is the Capitoline Museums. These museums comprise some of the most extensive and comprehensive displays of painting, sculpture, artefacts and architecture in the world. The museums are vast and they can easily take up an entire day. So if it's cold and rainy out, this is a great place to be. There is also a cafe on the roof, with spectacular views towards St. Peter's basilica, the synagogue and the Pantheon. And from the tabularium, you have amazing views of the Roman Forum...which, when it's icky out, can be beautiful if you are seeing it from the inside! Open daily from 9:30am - 7:30pm. 15€. No need to book in advance. This is the time of year I'd visit St. Peter's tomb under the Vatican. Why? Because I went in August one year thinking it would be "cool", and instead I was roasting. They seal you into every room you go into, so it's quite hot. So in cold February, this is not only a great thing to see, but a great way to be warm in an awesome place! I've listed some of what I think are the most fascinating events, and most central in Rome. For a complete list of events in Rome in February, visit the website of the Rome Tourist Board. Get the Rome in February e-book today, and take it with you, even offline!